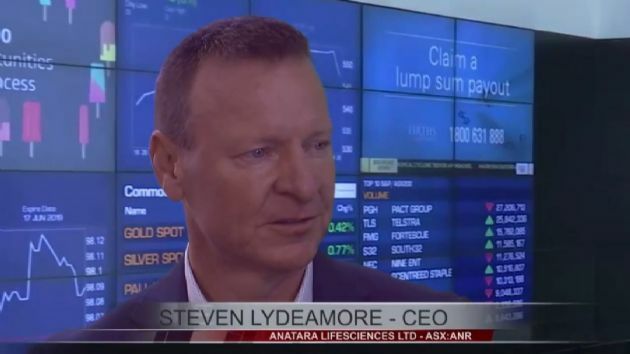 Brisbane, Jan 23, 2019 AEST (ABN Newswire) - Anatara Lifesciences ( ASX:ANR) is pleased to announce the appointment of Dr. David Brookes as Non-Executive Director and Chair of the Audit and Risk Committee, effective from 23 January 2019. Dr. Brookes has extensive experience in the health and biotechnology industries, first becoming involved in the biotechnology sector in the late 1990's as an analyst. Dr. Brookes has since held Board positions in a number of listed biotechnology companies, most recently as the Chairman of genomics solutions company, RHS Ltd, which was acquired by PerkinElmer Inc ( NYSE:PKI) ($9B biotech company) in June 2018. 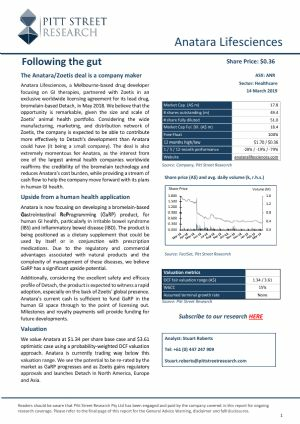 Dr. Brookes has previously held Board positions in Living Cell Technologies ( ASX:LCT) and Atcor Medical Holdings Ltd (now CardieX Limited, ASX:CDX). Dr. Brookes is currently Non-Executive Chairman of a private health services company, Better Medical Group, and maintains roles as a clinician and a biotechnology industry consultant. Dr. Brookes, MBBS (Adelaide), is a Fellow of the Australian College of Rural and Remote Medicine and a Fellow of the Australian Institute of Company Directors. 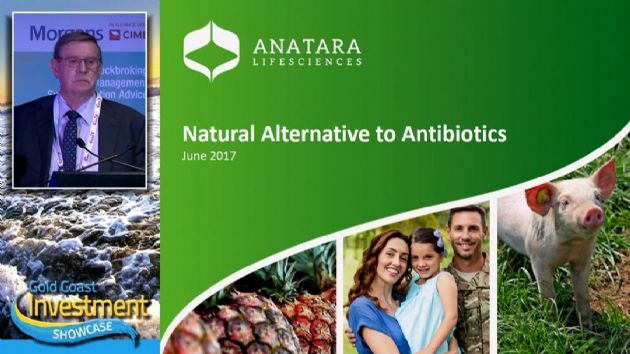 "This is an exciting time to be joining the Anatara Board following the Company's recent progress in the development of unique human gut health products," said Dr. Brookes. With the departure of Dr. Jay Hetzel from the Board of Directors in November 2018, the Company sought to identify a new director with relevant background and experience. 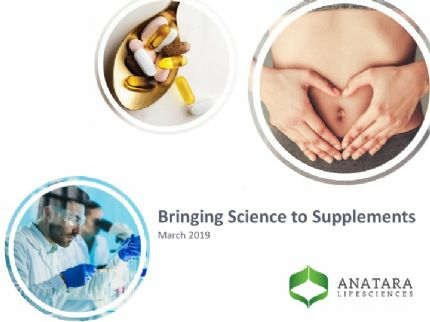 Dr. Brookes was the leading choice and his appointment is in line with the appointment of Sue MacLeman and Dr. Jane Ryan to the Board of Directors in August 2018 following the Company's decision to transition its focus to the development of products and technologies in the human gut health sector. 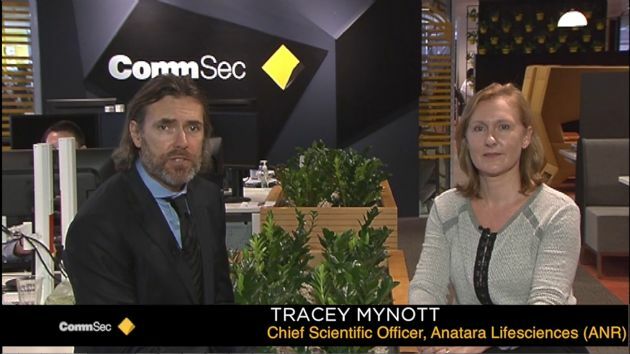 Commenting on Dr. Brookes' appointment, Chair Sue MacLeman said, "Our ability to attract such a well-respected and highly experienced medical professional is testimony to the potential of Anatara. We have now built a very strong human health team, with a proven track record in executing and delivering." 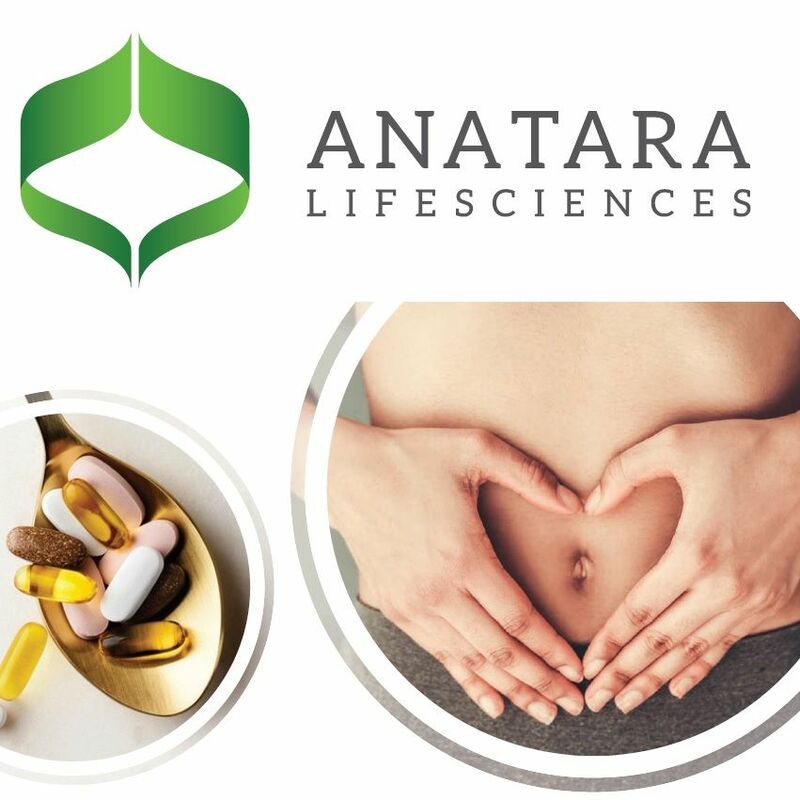 She continued, "The Anatara team is fully focused on developing its human product pipeline for gastrointestinal health applications, with a firm commitment to delivering real outcomes for patients and delivering strong value for our shareholders."